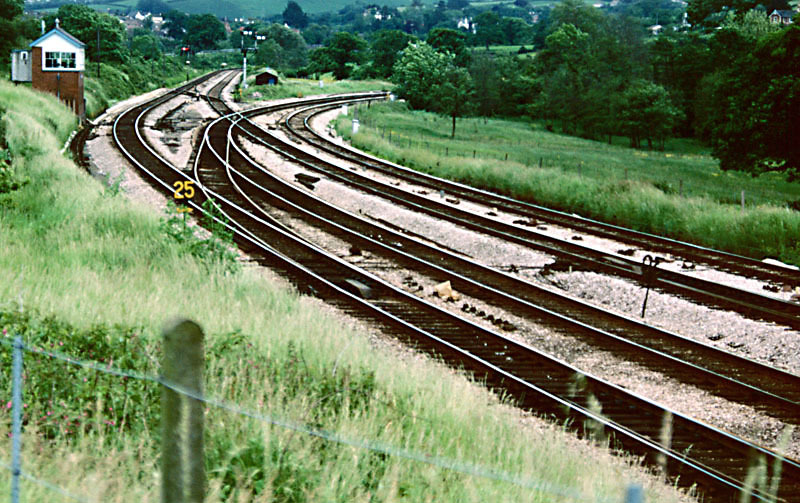 Aller Junction controlled the divergence of the Torbay branch (left). 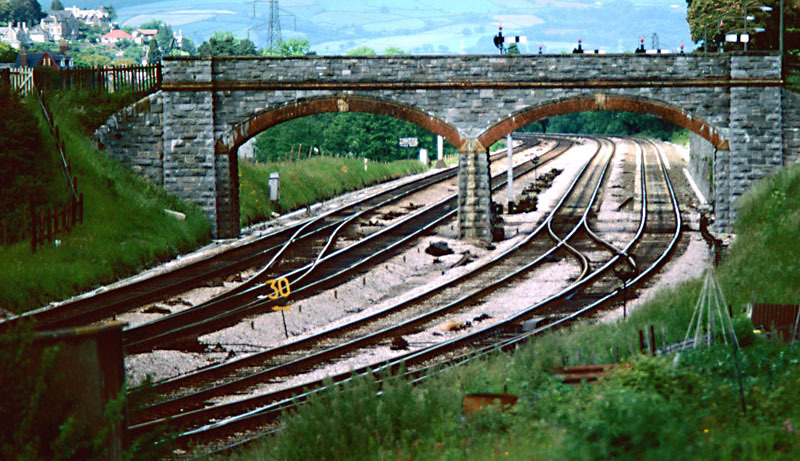 The reasons behind the unusual arrangement of running lines through Newton Abbot can be clearly seen here. The view in the other direction, where the connections beneath the road bridge, and the junction signal, can be seen. A face-on view of the junction signal (down homes). The vacant dolls had carried goods arms reading to a down loop alongside the main (Totnes) line, which had since been abolished. A view towards Totnes in which the bed of the former goods loop can be seen, together with the up inner homes. 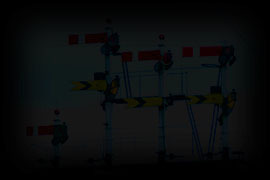 A connection from the up main to up relief line had also been abolished. The view towards Torbay, with a shunting crossover and the down branch starter also visible. 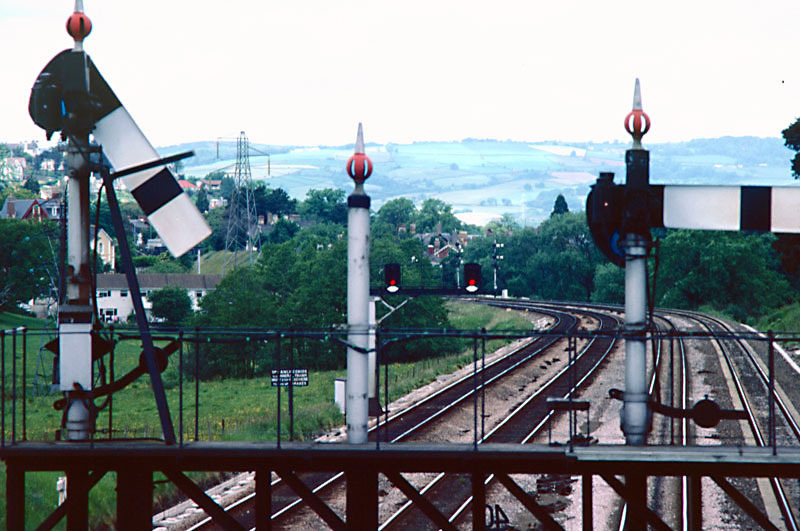 The view towards Newton Abbot, with the colour-light up starters visible in the middle distance and West box's down starters, with Aller Junction's distants, beyond. 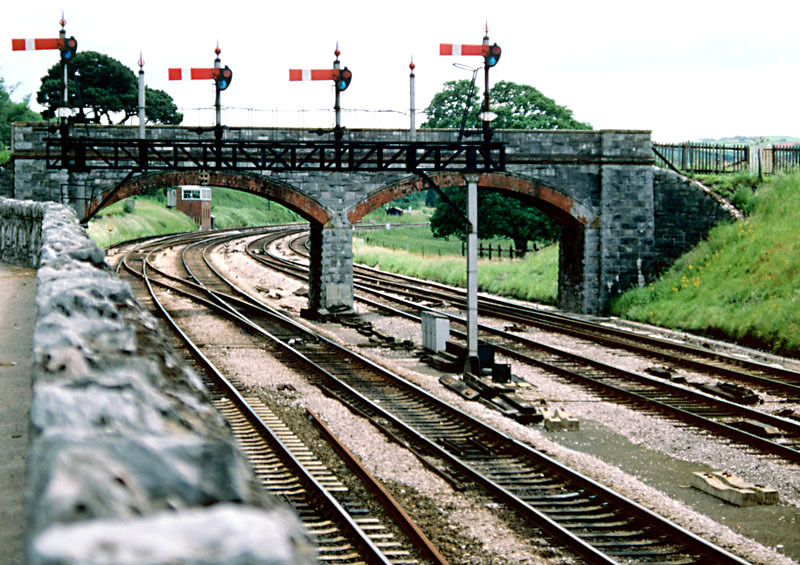 A train is signalled on the down main towards Totnes.